Detectives assigned to the Robbery/Homicide Unit have charged sisters for first degree murder after they killed their father at his residence in Palm Harbor on March 6, 2015. Deputies were called for a report of a deceased person at approximately 5:53 a.m. on March 6, 2015. The suspects were charged at about 11:00 a.m. on Tuesday, March 5, 2019. The incident occurred at a private residence located at 530 Natingham Close in Palm Harbor. At about 5:53 a.m. on March 6, 2015, deputies were called to a residence located at, 530 Natingham Close in Palm Harbor, for a report of a deceased person. When deputies arrived, they were advised by paramedics that 85-year-old Anthony Tomaselli, was found unresponsive and paramedics attempted CPR. Tomaselli was pronounced deceased by paramedics at 5:50 a.m. and there did not appear to be any foul play or criminal activity noted. Deputies reported that sisters, 57-year-old Linda Roberts and 59-year-old Mary-Beth Tomaselli were present at the residence. The sisters were interviewed separately by deputies and both stated their father fell asleep on the couch the night prior and when they went to check on him in the morning, he was not breathing. The sisters advised they attempted CPR and called 911. During the death investigation, deputies discovered that Tomaselli had an extensive medical history and when contact was made with his primary care physician, he agreed to sign the death certificate. The physician listed the cause of death as natural due to Tomaselli’s advanced age and medical history. On February 13, 2019, detectives from the Robbery/Homicide Unit were contacted by a male subject who stated he had a relationship with sisters, Linda Roberts and Mary-Beth Tomaselli and informed detectives he had a recording of Linda confessing to murdering her father in 2015. Detectives say the male subject provided the recording of Linda’s confession and with his cooperation, detectives were able to obtain additional recorded statements from both Linda and Mary-Beth regarding the killing of their father. Detectives advised both women stated on the recording, the killing was “premeditated” and that they “euthanized” their father because he was going to die within a couple months and would not live in an Assisted Living Facility. Their initial plan was to give him alcohol and an excessive amount of sleeping pills, but when that was not effective, they first attempted to suffocate him by placing a pillow over his face. When that did not work, they stuffed a rag down his throat, pinched his nose, and held his arms down until he stopped breathing and died. Mary-Beth stated she also gave her adult daughter, who was also at the residence that night, sleeping pills so she would not be awake to witness the killing of her grandfather. The women stated they “faked” finding their father deceased on March 6, 2015, and staged providing him CPR and calling 911 for help. After their father’s death, the women sold their father’s home and split the proceeds with their brother, who was not involved in the murder. 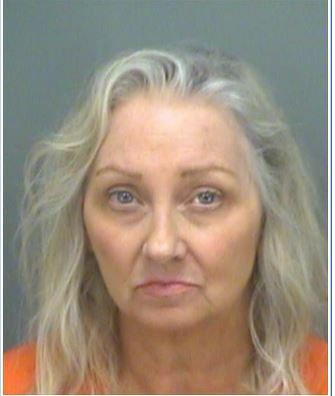 At about 11:00 a.m. on March 5, 2019, detectives arrested and charged 61-year-old Linda Roberts and 63-year-old Mary-Beth Tomaselli with First Degree Murder. During their interview, both women admitted to the charges. 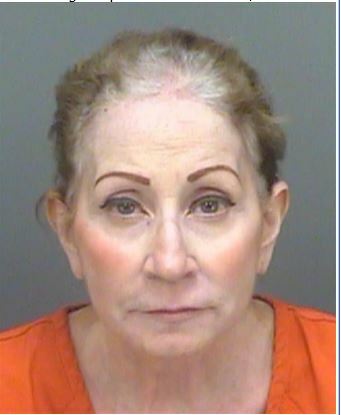 Linda and Mary-Beth were transported to the Pinellas County Jail without incident. Sheriff Bob Gualtieri held a press conference on March 5, 2019, at the Pinellas County Sheriff’s Office Central District Station located at 10750 Ulmerton Road in Largo, to discuss this case.